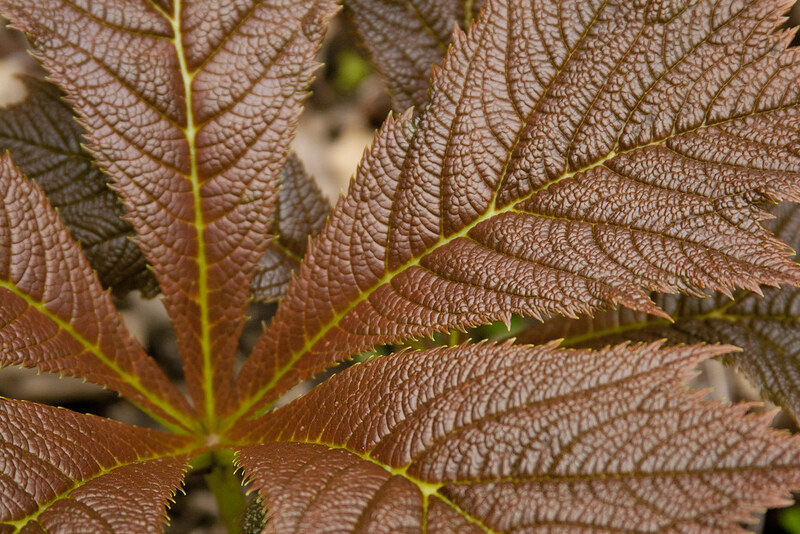 Rhone Street Gardens: Why Should You Plant Rodgersia??? Why Should You Plant Rodgersia??? Are you handing these out? And that, kind sir, is why those of us in the South have zone envy. Beautiful! Mine has just shown up to the party. Must have THAT ONE! Mine is spectacular, but just plain green. The bronze leaves are over-the-top. Beautiful photo - most of my shade is very dry, but it might be worth sinking a tub in the ground for that foliage! Yes, zone envy. And all your photos are gorgeous beyond words. Grace: I have a few different varieties, and this one is by far the furthest along, I have a R. aeuscufolia that is just a few inches tall. Tim: I didn't realize you couldn't grow these in the South??? Greggo: Hahahaha…be careful what you ask for! Alison: Defninitely…some emerge quite a bit later than others. Ricki: They definintely are…I'm loving them! Cyndy: If you can keep them moist and out of drying winds/sun…they are pretty happy! What the What! ANOTHER plant sale?